No, this isn’t an exclusive opportunity for a billionaire or lottery winner, but rather a real Studio Ghibli theme park that’s set to open in 2022, built on the Aichi Commemorative Park in Nagakute City, Japan. The attractions will be based on popular animated movies like ‘My Neighbor Totoro’ and ‘Spirited Away,’ while the main gate resembles the buildings from ‘Howl’s Moving Castle’. Currently, a basic plan of the park has been released, showcasing a few of the rides, attractions, and forest trails. It will be themed after the iconic, European-style brick buildings seen in many Ghibli movies, as well as include statues of boars, spiders, and other creatures. The local government says that the park will be built at the Expo 2005 Aichi Commemorative Park in Nagakute city. Read more for a video, additional pictures and information. Animation creator Thomas Romain lives in Tokyo and when not on the clock, he likes to spend time with his two boys. 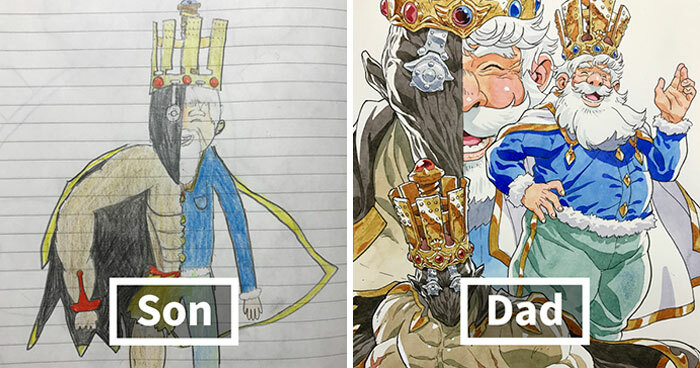 Rather than watch anime, he takes their doodles and transforms them into incredible anime characters. Whether they be golems, monsters, warriors, royalty, and endless others, he’s able to work his magic. Read more for additional pictures and another video. Yume MRC, a Japan-based collectible manufacturer, has just unveiled a life-sized Vegeta statue that stands a towering 6.9-feet tall. It will be limited to just 150 pieces, and the standard edition shows the “Prince of Saiyans” in Super Saiyan form, complete with his Z-Fighter’s Saiyan armor outfit, and a light-up base. Read more to see the even more expensive “Combo Edition” and for additional information. Tesla / SpaceX CEO Elon Musk is a fan of anime, and after giving “Your Name” high marks, he decided to Tweet: “It is time to create a mecha.” The one you see above was made by South Korea-based Hankook Mirae, and called the Method-2. This $200 million mecha stands 13 feet tall and weighs a massive 1.5 tons, with just enough room for one operator in its cockpit. The team of 30 engineers claim that they’ll get everything fully operational by the end of the year when it will sell for $8.3 million to the public. Continue reading for another video and more information. Star Wars: A New Hope was first released in US theaters on May 25, 1977, and earned $461 million, while receiving ten Academy Award nominations (including Best Picture), winning seven. 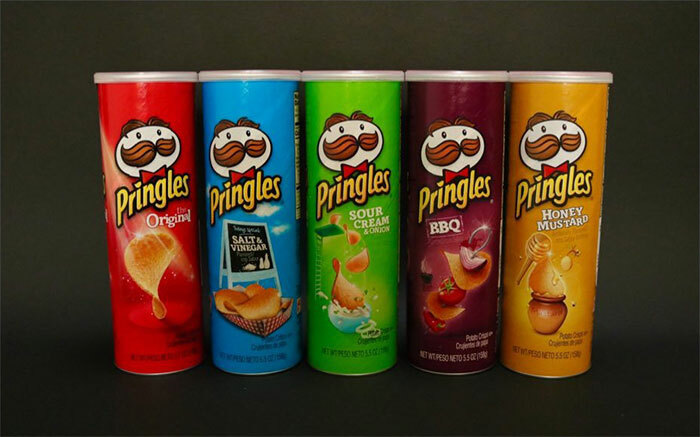 It launched an industry of tie-in products, including spin-off TV series, novels, comic books, video games, amusement park attractions, and merchandise including toys, games, and clothing. 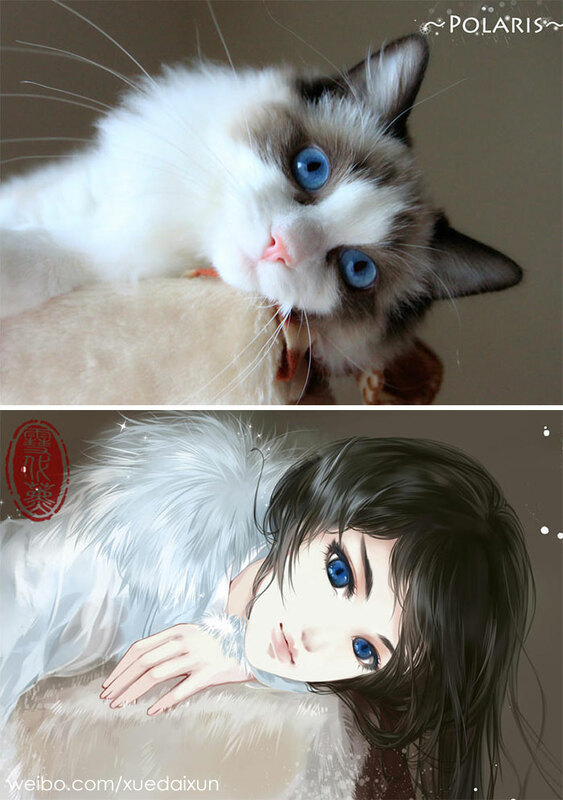 The latest is this anime fan makeover by Dmitry “Ahriman” Grozov of Saint Petersburg, Russia. Continue reading for another Star Wars anime short film and more information. 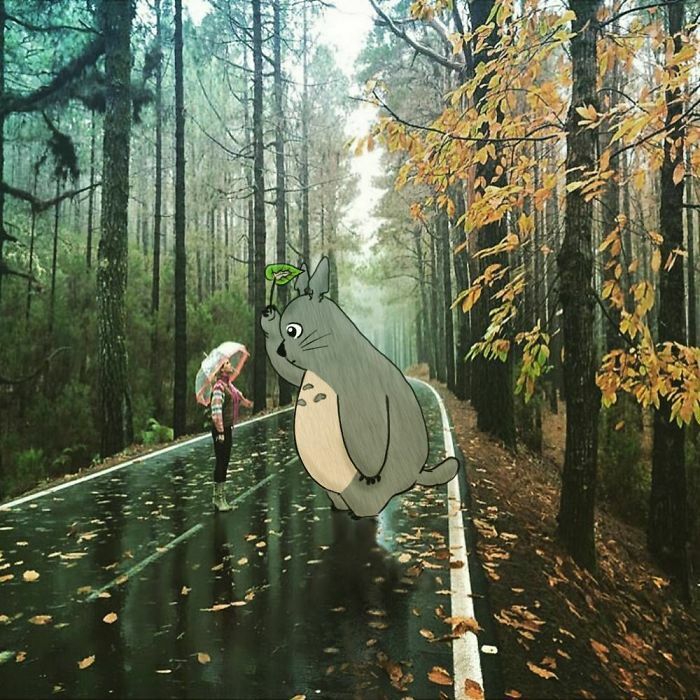 Instagram user “Futurikon Wizardians” specializes in adding fictional characters, such as from “My Neighbor Totoro”, into real photos, and the results are creative to say the least. These photos are sourced from Google, Pinterest, Facebook, and even stock images. “At first, I was just doodling very basic line-characters, kinda like stickman-type. But as I evolve, I’m trying to doodle some little complex characters interacting with the objects in the photos,” said the artist. Continue reading for more photos. In spring, summer and fall, Tokyo is normally a bustling city filled with neon lights, but when heavy snow starts falling, it transforms into a real-life anime film. “Tokyo saw its heaviest snow in 4 years on Jan 22, 2018, with authorities urging evening commuters to hurry home and prompting those behind the wheel to brace for traffic disruptions. I captured the sceneries of that snowy day. I visited some famous spots in Tokyo: Shibuya, Shinjuku, Asakusa (Senso-Ji Temple) and Tokyo Station,” said Yuichi. Continue reading for more pictures.